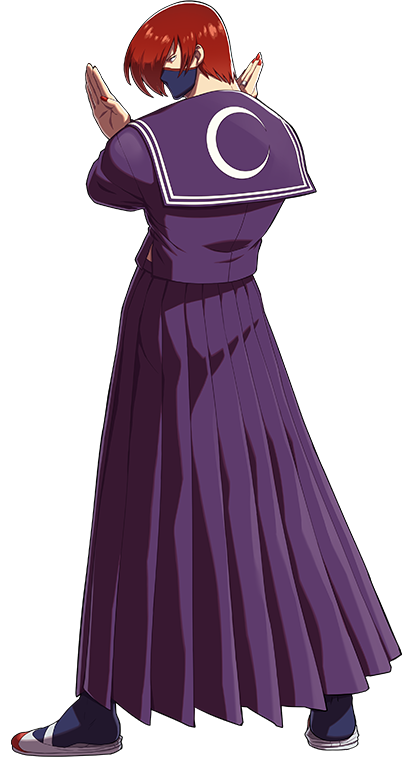 The mysterious "Miss X" is responsible for organizing the Queen of Fighters tournament in SNK Gals Fighters (2000) and is also the final boss of the game. Miss X also holds the K' Talisman, which grants any wish. 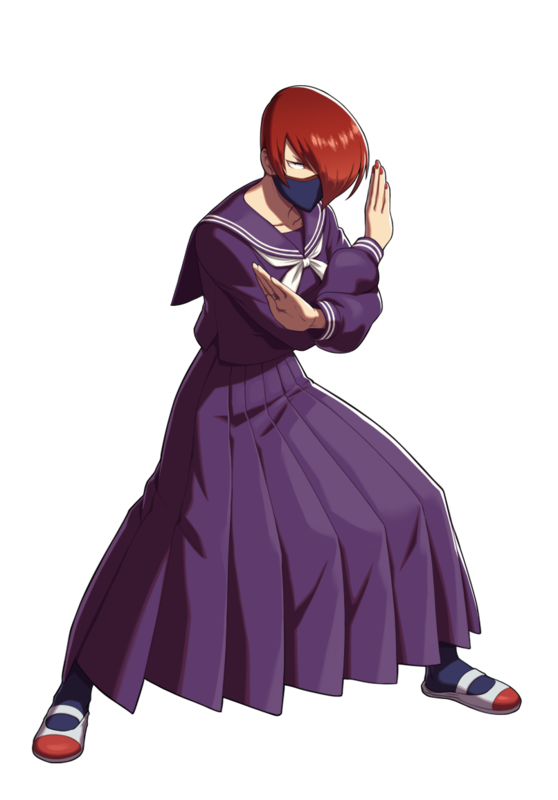 Dressed in a sailor dress and sporting a ninja mask, the original "Miss X" is actually Iori Yagami, dressed as a female. He fails to fool any of the girls who joined the tournament, all of which eventually discover his true identity. 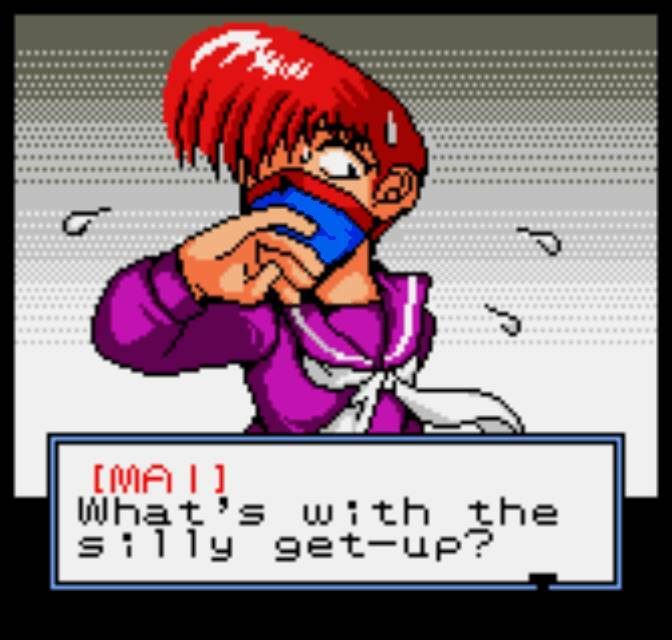 While usually a dark and serious character, Iori (as Miss X) adapts a lighthearted and silly personality in SNK Gals Fighters. 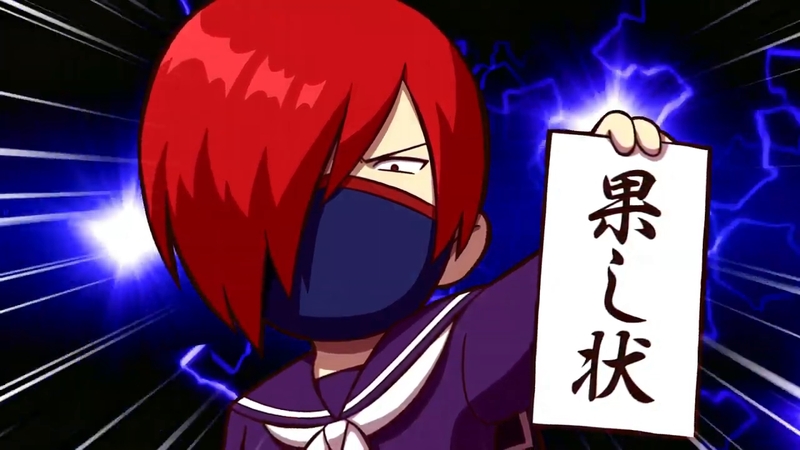 Miss X also makes a cameo appearance in SVC Chaos: SNK VS Capcom, when Demitri uses Midnight Bliss on Wild Iori. In SNK Heroines: Tag Team Frenzy (2018), Iori returns as Miss X, alongside a female version of Miss X. Miss X was one of those characters in the 2000's where if you knew about the character, you most likely "knew a lot more" about fighting games than most people. 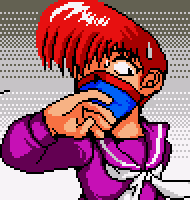 An obscure character on an obscure NeoGeo portable console that most gamers did not have. 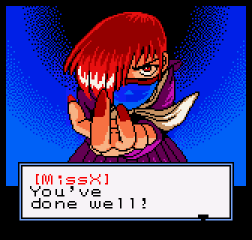 It that sense, Miss X was a pretty great SNK design for the time... for the fan reaction alone. 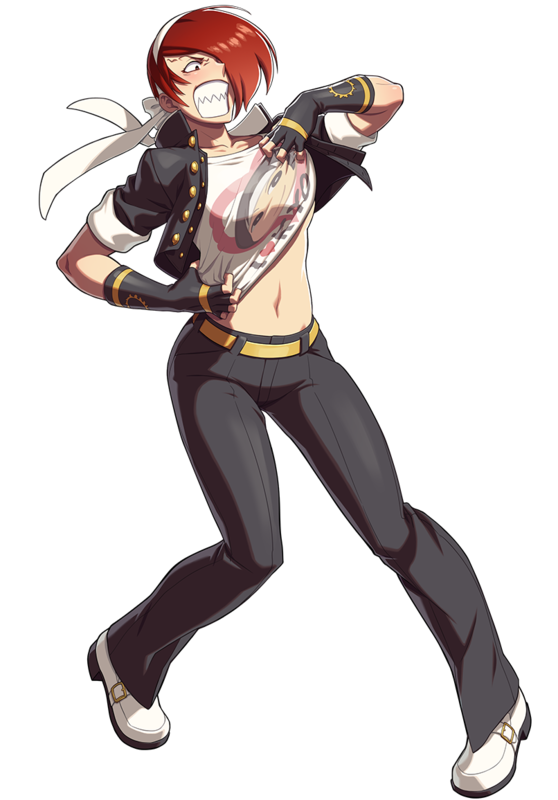 Hilariously, SNK repeated themselves in 2018 with X's appearance in SNK Heroines, with newer fans "reacting" to this character all over again as it's brand new. lol. (Rule 63 is now new, kiddos.) 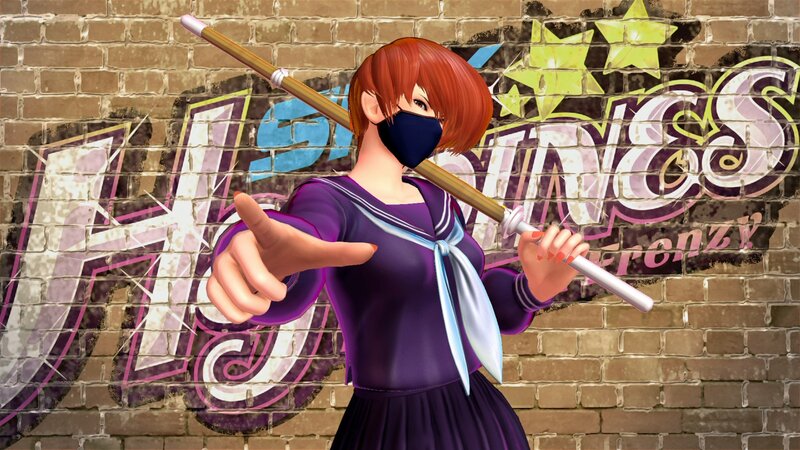 But I digress, Miss X's three costumes in SNK Heroines are pretty dope, and like Gals Fighters, the character serves its purpose since you get to use Iori in the game. 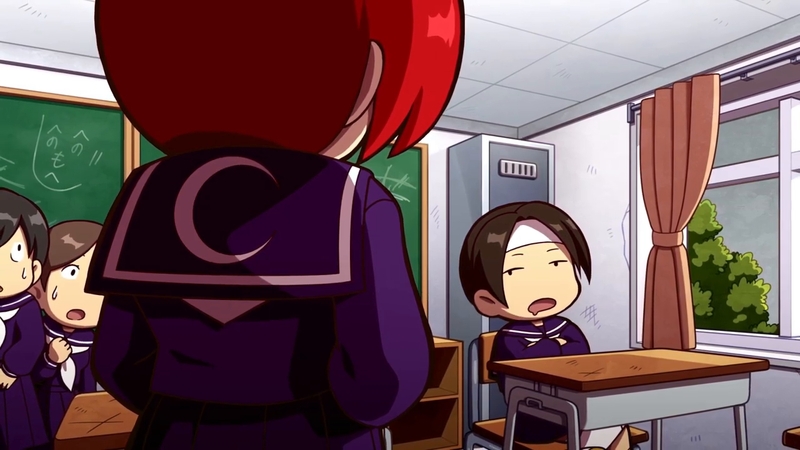 Either Iori is just plain weird for dressing as a woman and thinking he could fool the SNK girls, or maybe... he's actually a genius and has a fetish for watching the SNK ladies fight each other (hey, it worked after all). This design obviously doesn't take itself too seriously, and makes for a pretty hilarious premise for one of the kookiest fighting games ever. 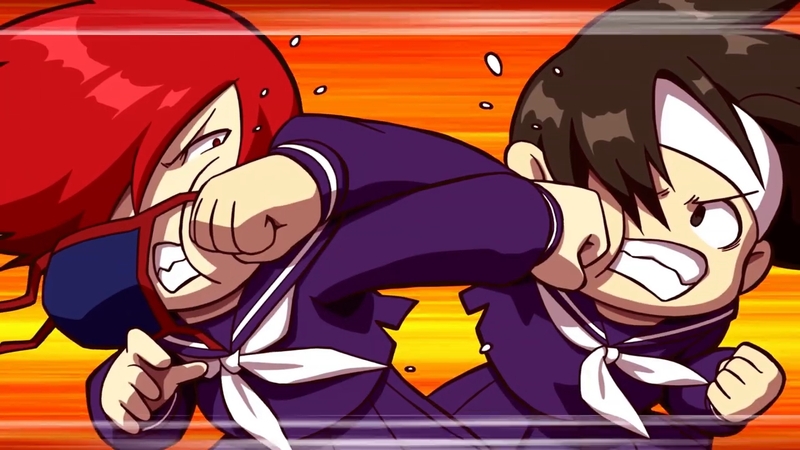 Some old school SNK fans would also tell you "Miss X" is reason enough to own / play SNK Gals Fighters.